Dressed in military uniform Okonkwo and others were nabbed at Ogwashi-Uku/Ibusa expressway, Delta State. 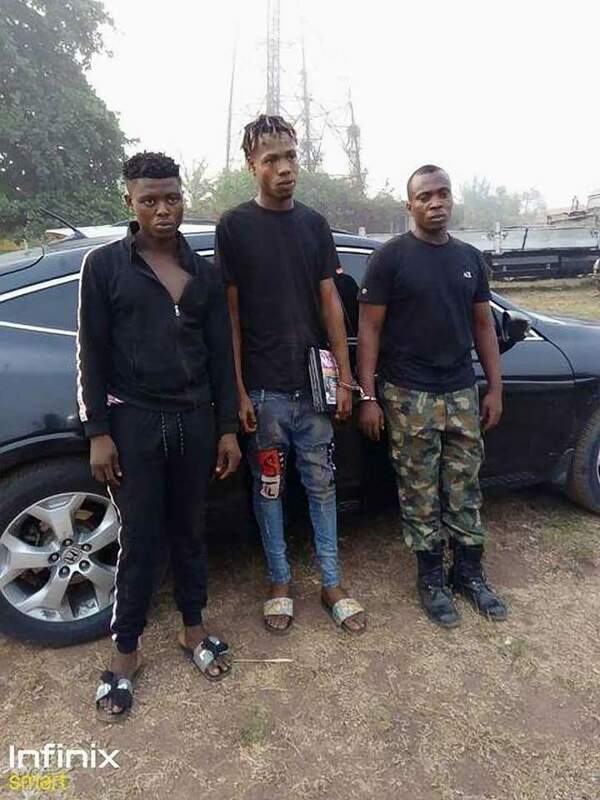 According to the PPRO of the Delta State Command, the suspects were heading from Kwale to Asaba on the 30th of January, 2018, when they were intercepted by the Dragon Patrol Team 21, led by officer Imonikhe Imo. 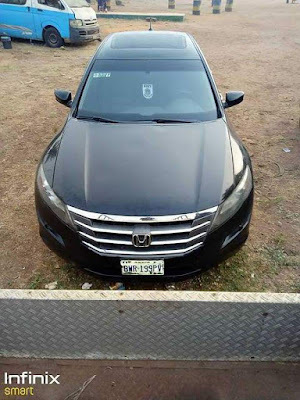 He said that questions put to the suspects with regards to ownership of the vehicle could not be answered, prompting the officers to search the vehicle where they discovered a wrap of Indian Hemp, two phones and the vehicle particulars which indicates it wasn't theirs. 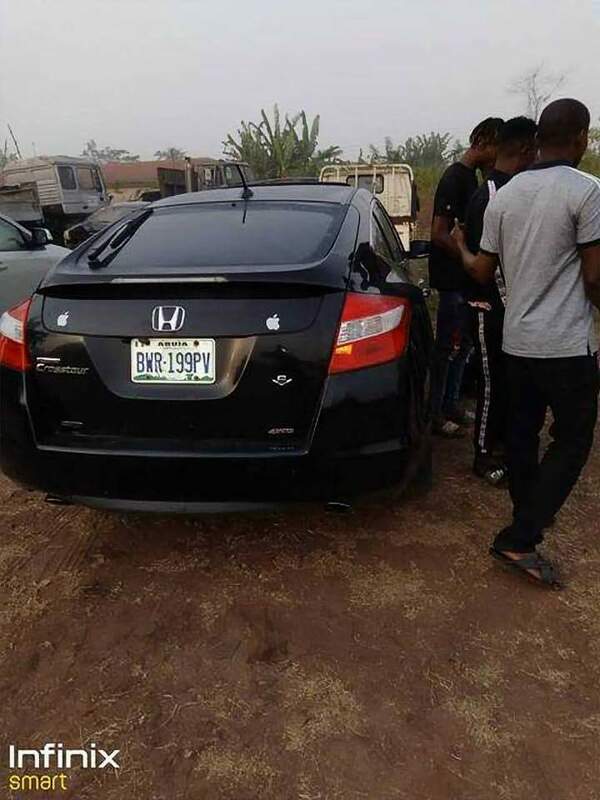 » Honda Civic 1991 Model Presented To "Miss Igala 2017"